Slowly but surely, it seems as though Apple’s mobile OS is being stripped of search giant Google’s influence. Apple’s redesigned Maps application — due to make its debut in iOS 6 — no longer makes use of Google’s map data, and that trend continues with another recently spotted change. The latest beta version of iOS 6 no longer includes the YouTube app, which has been a mainstay of iOS homescreens since the original iPhone. Google is already working on a replacement app – which this time it will maintain and distribute itself – while Apple highlights that YouTube video playback already works within Safari and doesn’t demand the standalone software anyway. However, rather than just pushing Google’s services further to the periphery, there’s also the chance that Apple could move to fill the ensuing gap with a video offering of its own. Apple's entire statement is below. Those sticking with older versions of iOS – either by choice or because their Apple gadget won’t support the new OS – won’t have to worry. 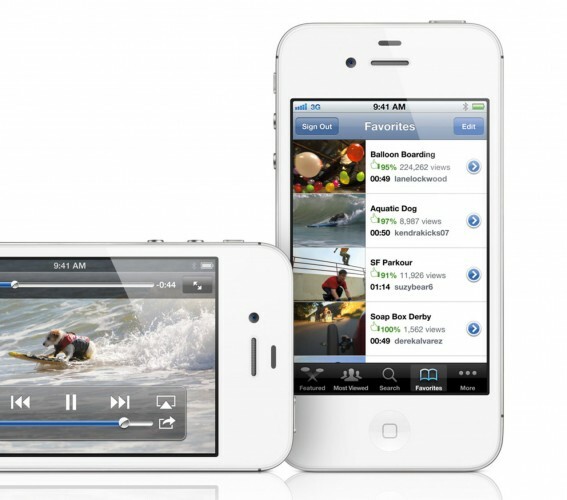 Phones and tablets on iOS 5 and earlier will keep the existing YouTube app, as Apple’s license with Google apparently continues to cover it; the player won’t be deleted remotely or disabled. For the end-user, it means YouTube won’t be at their fingertips from the get-go, though it also means Google can update and improve the app more frequently.